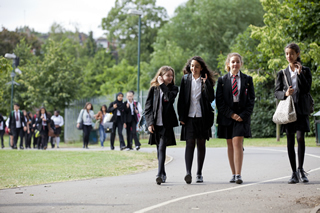 Ours is a rich, diverse and harmonious community with a culture of outstanding teaching and learning at its heart. Our school motto is “Success for all” and everything we do is planned to enable us to achieve this vision. 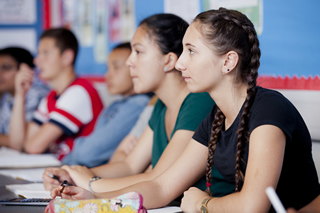 At APS students will discover a supportive and friendly environment. High standards of discipline and behaviour are expected and maintained thus ensuring a safe, structured working environment where every individual is encouraged to strive for excellence. Our objective is to foster confident and responsible citizens who are prepared to meet the challenges of life. Our students study a predominantly traditional curriculum with a focus on the core subjects of English, Maths and Science. Our students achieve extremely well academically at the end of Key Stage 4. Examination performance is consistently exceptional. We ensure our students make excellent progress from when they arrive in Year 7 and have repeatedly achieved outstanding attainment and value-added, putting the school in the top 5% nationally. The English and Maths departments’ performance has seen them both ranked in the top 1% nationwide. The sixth form was established 10 years ago. It has a comprehensive intake and offers an extensive range of more than 35 different courses. It is arguably the best performing sixth form in the area. The provision has been independently assessed (ALPS) as in the top 5% of institutions nationwide. Ofsted judged our sixth form as Outstanding in every category. Two thirds of students were successful in their application to one of the UK's top 30 universities and three quarters of our students were able to follow the course they had chosen at their first choice university. We have appointed an outstanding, highly qualified staff who bring vision, energy, enthusiasm and very high expectations to the school. We are truly at the ’cutting edge’ of new educational developments and leave no stone unturned in seeking ways to further enhance the educational experience of each and every one of our students.